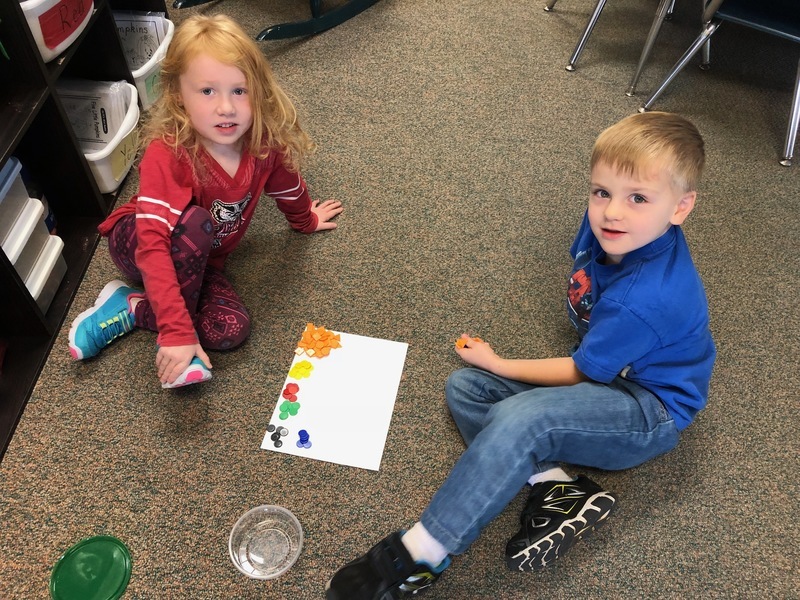 The 5 year old kindergarteners in Mrs. Pedersen's class are learning to sort by attributes. How much more fun can you make class when you get to work with buttons and with a friend. 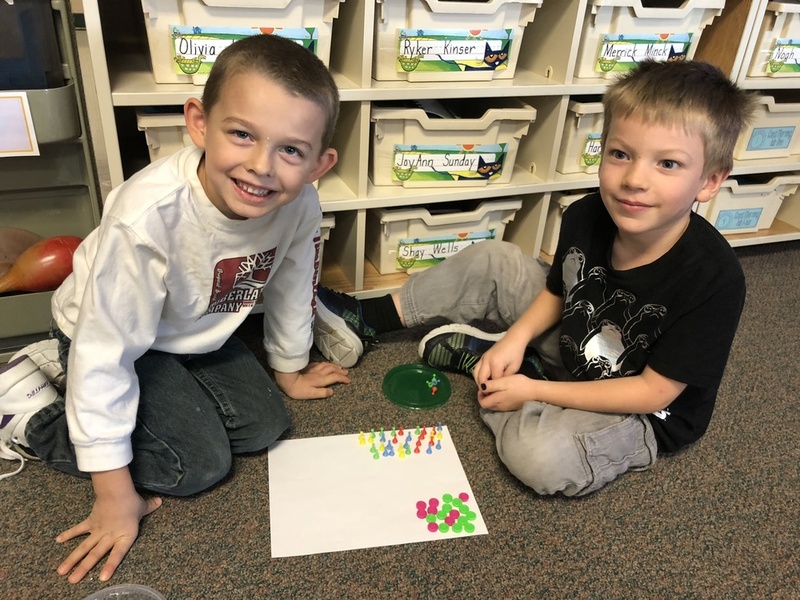 Sorting made fun! 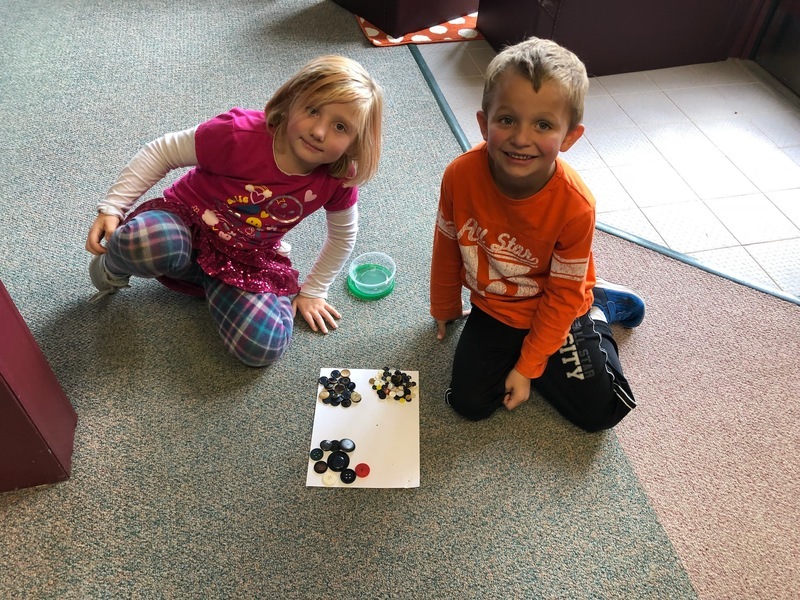 Working together makes sorting with attributes a lot more fun! 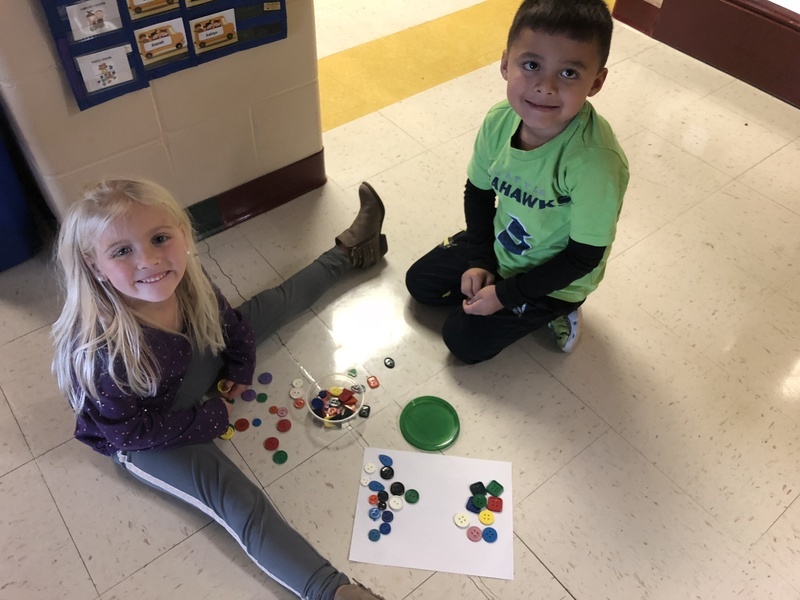 What attributes are these two Little Cardinals using to sort their shapes?